Jason Ulseth was out doing his job of patrolling the Chattahoochee river — checking for any contamination sources since the river is a source of drinking water — when he spotted a few white blobs in the river. Once he got closer, he made the horrifying discovery that they were decapitated goats floating in the river! He eventually found 10 of their bodies in and around the river. Please sign this petition to tell Georgia officials they must get serious about finding the perpetrator of this heinous crime! Ulseth said he has been doing this job for 11 years, patrolling the river that provides water to 5 million people, and he has never seen anything so obscene. Not only is it a horrifying case of animal abuse, but the water contamination is also a major health hazard. It's been proven that there is a connection between animal abuse and violent behavior towards humans and other criminal activity. It's crucial that this kind of act is not brushed off. This person is a danger to society and has also put the health of millions of people at risk. 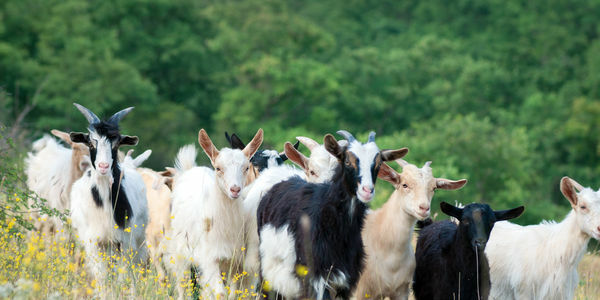 Whoever brutally murdered 10 goats by cutting off their heads desperately needs to be identified, caught and charged. Please sign to make that happen.